The Lazy Environmentalist: Prosecuting the whistleblowers: but how long until the true destroyers are put in the dock? Prosecuting the whistleblowers: but how long until the true destroyers are put in the dock? Sophie Scholl, a Munich University student, was executed for whistleblowing the truth about the activities of the Nazi authorities; today 20 brave Ratcliffe whistleblowers have been sentenced at Nottingham Crown Court for plotting to draw attention to the truth of the activities of another German entity. This time replace the tyranny of the Nazis with the tyranny of the energy giant E.ON. Sophie Scholl and 20 others stood up and took direct non-violent action. Their crime was the dissemination of leaflets highlighting and decrying the tyranny of the Nazi dictatorship. It was a decision to undertake something unlawful – an act that they believed was a necessity – to halt a greater but unnamed crime, a crime that cost many lives. That crime did not at that time have a name. But it soon did: genocide. The Ratcliffe 20 did the same in April 2009. They too were prepared to stand up and take action. Their crime has been the planning to shut down Ratcliffe-on-Soar, one of Britain’s largest coal power station emitters of emissions. The state was failing to prevent a greater injury from taking place; the loss of life. This time it is not only human life, but all life. Like Sophie Scholl and her fellow activists, the Ratcliffe 20 were motivated to take non-violent direct action. They, along with 124 others, decided to undertake something unlawful: the conspiring to close down the offending emitter. It was an act that they believed was a necessity; to halt a greater but unnamed crime, a crime that is already costing many lives. Their defence was that they were acting to prevent a greater crime, of death and serious injury caused by climate change. We do not currently have a legal crime in place that fits this description but there is one fast looming over the horizon and that crime is ecocide. Currently there is no law to prosecute those who are destroying the planet. Instead, climate campaigners do not have the support of the judiciary in preventing the corporate ecocide that is daily occurring under our very noses. Ecocide is permitted (as genocide was in Nazi Germany) by the government and, by dint of the global reach of modern-day transnational business, every government in the world. Corporate ecocide has now reached a point where we stand on brink of collapse of our ecosystems, triggering the death of many millions in the face of human aggravated cataclysmic tragedies. 60 years ago the tyranny was Nazism. Today it is pursuit of profit without moral compass or responsibility. Despite the Ratcliffe protests, it is one that the majority of humanity accepts regardless of the known consequences. We look the other way from the daily reports of destruction of our world by those who are in a position of superior responsibility; the master controllers of our fates are those who determine how we live our lives. It is the CEO’s of the top corporations who gamble with the fate of our planet; those who produce and supply our energy are the most culpable of all. Their tyranny of chasing profit without legal restraint and imposition of duty of care has no restriction. The failure rests with our governments who are unwilling to intervene to make the destruction of our world a crime. Our police are disempowered and our justice system is unable to protect our greater interests when faced with the superior silent right of corporations to cause injury to persons and planet. Those who stand up and speak out are thereby treated as criminals. 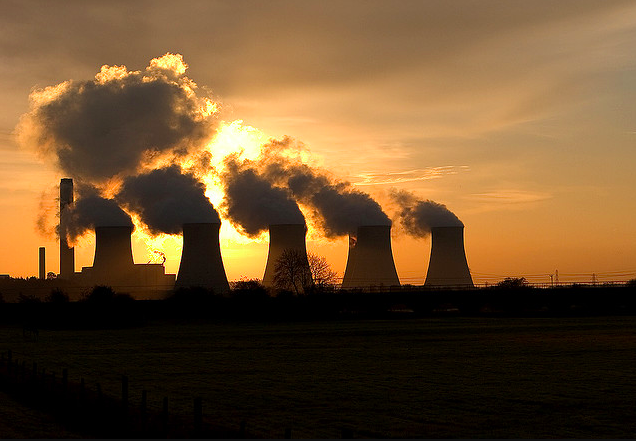 Prior to the Ratcliffe trial, the judge ruled: “the defendants must have the opportunity of putting that contention (that the emissions from the power station do pose an immediate threat) before the jury, no doubt backed by expert evidence.” Expert evidence was heard from the ex-head of NASA Goddard Institute on the immediacy of the threat to life caused by escalation of emissions to MP’s confirming government inertia, all of which the jury failed to accept. What will it take for that dense sea-fog of blindness to dissipate and for the truth to be revealed? Unlike the Ratcliffe 20, Sophie Scholl and her co-conspirators were denied the right to defend themselves in their trial. They too were convicted for resorting to unlawful acts, which they believed to be necessary to whistleblow the truth. At the very end of her trial, Sophie spoke out. It is just matter of time, she said, before the true destroyers are put in the dock. The very same can be said today.